Your pet deserves it. We strive to provide it. The human touch is what’s missing during your absence. It’s our mission to fill that void in all we do for your pet while you’re away. Pet Sitters of S.E. Michigan provides quality, in home, pet care. 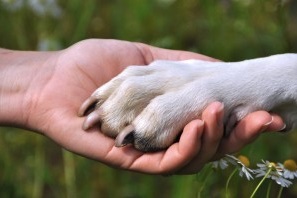 We give your pets the human touch they need while keeping them in their own home. We eliminate the stress of your pet being left alone or taken to a kennel. Discover how Pet Sitters of S.E. Michigan will give the pet you love, The Human Touch. WE CARE FOR YOUR PETS! Pet Sitters of S.E. Michigan was founded by well known, life-long pet owners with over 50 years of pet care experience. We offer a full range of pet care services designed to fit the budget and needs of our customers. 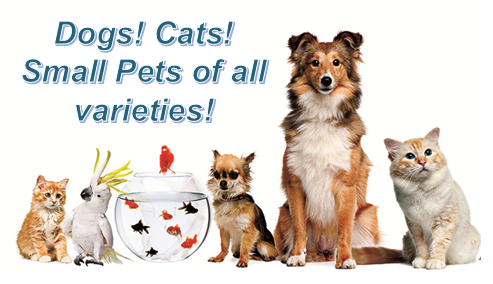 ​We'll work with you on your pet’s specific needs, and take care of them accordingly. Pet Sitters of S.E. Michigan is bonded and insured, and are proud members of Pet Sitters Associates, LLC. You'll have peace of mind knowing that you're covered if your pet is injured or injures someone else while they are under our care. Services available for your pets and for your home. Our services are customized to fit the needs of your pets and your home needs while you're away. We serve Monroe County and parts of Lenawee and Washtenaw counties. We have it all! Experience, trust, great prices and discounts too! Contact us to schedule a consultation of the services you require, and for us to meet your pets. Long time Monroe residents, pet owners and animal lovers. Tom & Sandy have a life time of experience in pet care.